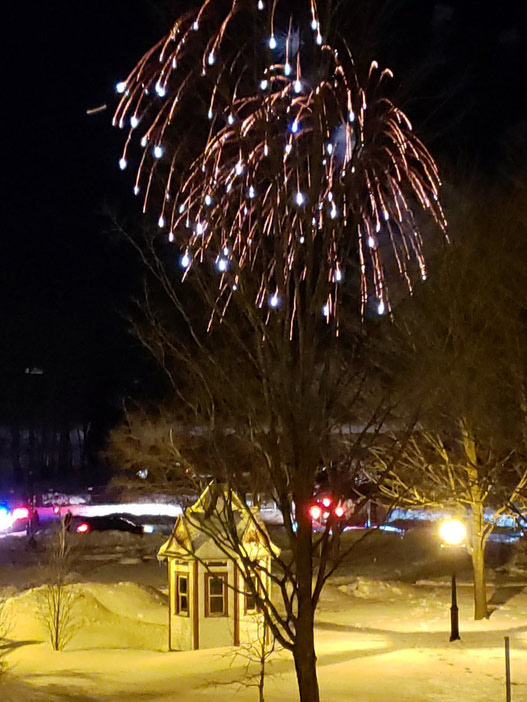 Fireworks brightened Aylmer’s sky during the first edition of “Les Feux sur glace”, organized by the local firm, Kuma Fireworks. Smiles and surprises were on display on the evening of January 26. The winter activity was a fundraiser for Children’s Wish Canada where all profits were donated to the organization. The funds will allow children with life-threatening illnesses to realize a dream they hold dear. The event brought together more than 3,000 people at Cedars Park, according to the organizers. VIP pass holders had access to an igloo where cocktails and appetizers were served. Despite the cold, many fires warmed the festiva goers and several public entertainers were on hand.